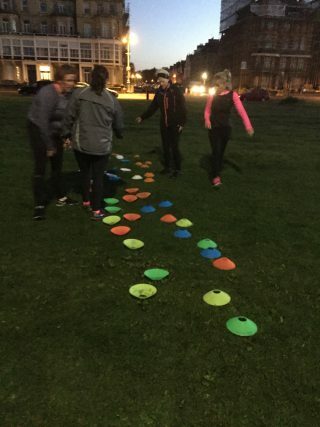 Whether you’re just attempting to start running for the first time, you’ve fallen off the bandwagon, you’re a new mum returning to fitness or you just want some inspiration to make your running more interesting, join us for this six week block of 45 minute sessions that will incorporate strength and conditioning exercises, running games that will help you build your distance and stamina without you even realising it. You can choose to do one block or keep returning, but each individual will get exercises and running tasks that are set to their individual needs and requirement. This means it’s suitable for those who are just getting up from a walk to a run, right the way to those who want to improve their five km park run time but with some fun added elements.